Small question: what kind of music do you guys want this to have? Blazblue-eque guitar riffs, smash bros like orchestral stuff, ... ? Just wondering. Closer to Blazblue, I guess. The orchestral works better for SSB since you have so much more floaty air time. I wasn't a huge fan of Blazblue's music overall though. It was..I dunno, too edgy? Trying to be too fast? Too many guitars? Ahah. It's been a while. I hadn't given music a thought yet. I think there should either be remixes of the KS soundtrack, or instrumental pieces that would capture each character or stage the best. Emi - Punk Rock; Rin - IDM or Math Rock; Lilly - Violin or Orchestra; etc. If there isn't someone with the program and know-how to make these, there are plenty of free instrumental pieces out on the internet we could search for. If someone working on this gave the okay and told me something to look for, I'd gladly scrounge the internet for them. Halkure wrote: Aha, excellent. =] Good to have you aboard. You were a programmer if I recall? Yea, or at least learning anyway, but I'm willing to give a good shot at helping. Signed up just for this. Had a look through, saw you were talking about possibly using Mugen as your engine. Now. I used to code characters for it, been a while since my last, something about lack of motivation. Ummm. As for resolution issues. There's Hi-Res mugen. Although I haven't looked too much into it. Edit: Just asked another friend, he said he believes even though it's higher resolution, its still restricted to a palette of 256 colors. Keep in mind they're old. Stage also by me. But that's not my best stage IMO. And if you want to give it a try, here's the linkage. Yes. My coding work has all been chibi sized characters. But doing it with full-size characters shouldn't be a problem. And to snicket, page 10, you said about ranged attacks but you couldn't find an easy way to do it. It basically calls up an instance of something which you define what it is. Say your animation 1800 is a Kunai. If you set your helper as animation 1800 it'd be a Kunai. ID would be what ID number the helper would have. This helps in controlling many different helpers. You can choose whether it counts as a player or just a helper. Also you can set what state it goes to and whether you can control it like you would your normal character. Basic straightforward projectile would just require you to use a velset to throw it straight forwards. And I think this post has gone on long enough. Just lemme know what engine you decide on and I'll see what I can do to help. Sign Up for the KS Fighting Game team! Guest wrote: I think there should either be remixes of the KS soundtrack, or instrumental pieces that would capture each character or stage the best. Ah, I could definitely see the different genres working! Remixes would be exciting too. Well, nobody's stopping you if you want to poke around, but it may be best to wait on music until we have something.. tangible established, to give us a little direction. Haha. I keep thinking of cake metaphors where the music is icing but we don't even have the scratch materials for the cake itself yet. DannyL7773 wrote: As for mah resume? Very nice! I'm curious about two things: Do all characters jump so high in Mugen? Can that be scaled down? And for projectiles, is it possible to make objects travel in an arch? Unfortunately I run OS X by default with XP on bootcamp and have yet to install Mugen again so I'm still pretty fuzzy on its capabilities. It's still the plan until I can do any other research on engines though. Only things I have to pick with mugen are the fact it's limited to 256 color palettes, but that's not too bad unless you have a lot of OMGFULLACOLORS specials and separating sprites after paletting them to prepare them for conversion to SFF is a painstaking process. There's actually no need to install mugen, it's just a download and unzip thing. Only got the default stuff in (KFM and 2 stages). As for other Fighter engines I know of, there's Fighter Maker 95, I had a little look a couple of year back but I switched over to mugen which seemed better (Haven't regretted the choice yet XD). Excellent! I'm more confident about this now. Hmmm. I am fairly certain I can work with 256 colors so long as it is relative to each character, and not limited to a preconceived 256 pallete? Oh - that's right. Thank ye. Hahah. This seems to be gaining some traction now. I guess I have my work cut out for me. You've got another palette for your character and it was done easily <3 And that's just one character. You do the same for the rest, each having their own palette(s). Currently in the process of making a KS screenpack to try improve my capability of making one (Only really done simple edits before). It's going fairly well but, like character coding, it can get VERY tedious. Most tedious parts of characters being separaing the sheet. (Seriously. You can sit there for hours separating a big sheet. All it consists of. *Drags selection tool around sprite* Cut (or copy) New. Paste. Save and name something like Stand01. Save as pcx. Repeat for rest of sheet. Which can get to like 1000+ sprites X-X) Then you have to load them all in the .sff (Sprite file) manually and align them. After that it gets better though, you start setting the .air (Animation file up) and at the same time, you can start coding the .cns (Character states file, all attacks and character info) common1.cns (Contains the default stuff, like running and jumping states etc) and the .cmd (Tells the program what buttons activate what states from the .cns). Aaaand finally if you have the know how, you can actually code your own AI into the character if you don't feel like letting the program use it's own default AI (I can only do very VERY basic AI, nothing special). 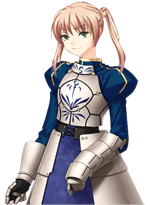 If anyone actually wants to learn how to make a character from just having the sprites, I guess I could write up a mini-tutorial or something to help you get started (I'm nothing spectacular myself but I can at least help you get from being a complete beginner to sort of average like me XD). Just PM me or catch me on Xfire if you have it. Same username as here. Probably a good idea to mention you're from here too if you do. Anyway, if memory serves me correctly. Mugen should have a 'AI' system already set up in the default engine. That is unless they changed it in there 'newer' version. I never got around to testing this when i had a crack at this while back. Are you familiar with the 'special' meter in mugen? I never really messed around with it too much. "if you don't feel like letting the program use it's own default AI "
Yeah it does have it's own like I mentioned above. By special bar do you mean the blue power bar under your health? The one that goes up with attacks and then is consumed when using your special abilities? How could I've missed this!? Been playing with Hi-res mugen for the screenpack making. Learnt these things. 2: The same goes for the blue backing on the options menu. 3: As for resolution. Main Menu, Options Screen, VS screen: 320x240. Character Select Screen640x480. Resources were gotten from around the website. Also, sorry for bad sound quality, was taken through my mic. Right... so out of the blue I started thinking about this thread at work today. Came up with potential play styles for the girls, as well as brainstormed a kick-themed moveset for Rin, which I might just attempt to scribble some frames for. Halkure's set of sketches has inspired me. Hanako: Trap-based trickster. Rachel Alucard of Blazblue is a good example of what I'm thinking. For example, as a projectile, Hanako can toss out a "white" floor tile. It will damage on contact, but will also act as a damaging trap on the floor, making a play on her game of stepping on only dark tiles. 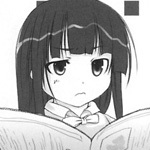 She should definitely hit people with books, and her throw could parody Maka's book-hitting habits from Soul Eater. Specials themed around Chess would also work. Shizune: Specials should liberally make use of Misha, if not making some form of duo between them. (either a tag team like Marvel vs Capcom, or a "puppet" control system like Blazblue's Carl Clover) Otherwise I could see her having a moveset of fairly realistic martial arts. Emi: Energetic to the point that she's the character who gets a double jump. If she does not have E. Honda's torpedo headbutt, I will be sad. I plan to look into Taekwondo and Muay Thai for some inspiration on a moveset.